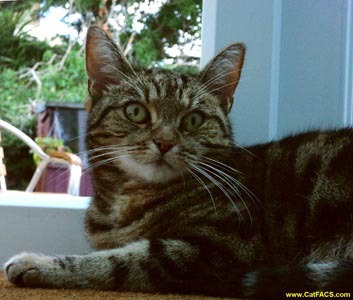 CatFACS, a new scientific tool to study facial expressions in the domestic cat, has been developed by the University of Portsmouth as a result of funding from Feline Friends. 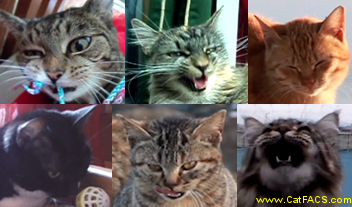 CatFACS (the Cat Facial Action Coding System) is a scientific observational tool for identifying and coding facial movements in cats. This system was adapted from the original widely used FACS tool for humans, created by Paul Ekman and Wallace Friesen in 1978 to study human facial expressions. CatFACS allows an objective and comprehensive analysis of facial movements based on the movements of facial muscles. Each of the individual facial movements is called an Action Unit (AU) and defines a specific set of appearance changes visible on the face due to the contraction of specific muscles. Action Descriptors (ADs) are additional codes created to classify broader movements such as head direction changes. In CatFACS, there is also a set of additional movements to describe the incredibly complex range of ear movements in the domestic cat, called Ear Action Descriptors. 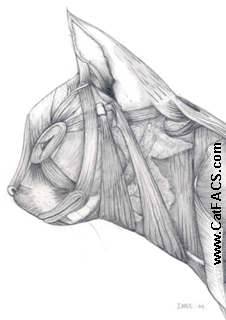 Together, AUs, ADs and EADs cover all potential movements on the cat face, including very subtle and small motions, such as AU17 (lower lip raiser), broad actions such as AU26 (jaw drop), and other movements, such as the ones produced by the eye pupil and the whiskers. In total, we found 14 AUs, 6 ADs and 7 EADs in the domestic cat, which although when compared to humans and other primates are considerably less numerous, the basic facial musculature producing these facial actions seems to be well conserved across different taxonomical groups. How can CatFACS be used? The CatFACS manual was designed to be a self-instructional tool with detailed descriptions and numerous photographic and digital video examples of each movement. As with all FACS systems, CatFACS requires training and certification to ensure a standard and robust system across coders. The CatFACS manual and test are both freely available at the project website: www.CatFACS.com. After becoming a CatFACS certified coder, the user will be able to reliably code facial movements in videos and pictures of domestic cats. However, it is important to highlight that CatFACS is not an ethogram of cat facial expressions and does not analyse or code emotions. Instead, it provides an objective and unbiased tool to systematically code the unitary facial movements of cats in detail, with no a priori assumptions about what represents a facial expression (or emotion) in this species. 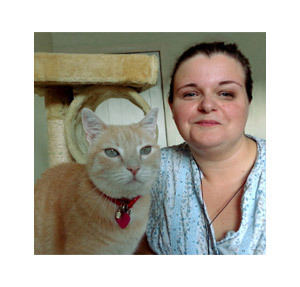 CatFACS has the potential to be applied in a wide variety of situations, including basic research into cat communication, veterinary contexts and welfare applications. 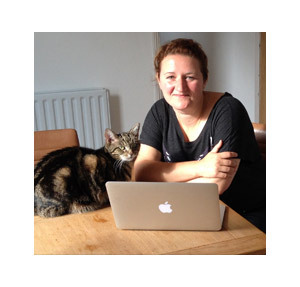 Why develop a FACS for the domestic cat? With a more recent domestication than the dog, the domestic cat is quickly becoming the most popular companion animal in many parts of the world. Interestingly, even though the domestic cat ancestor (African wildcat) is a predominantly nocturnal and solitary species, the domestic cat seems to have adapted (to a certain extent) to the diurnal human environment. Thus, this domestication process may have acted on the communicative and behavioural repertoire of the species. However, although there is a broad descriptive-based literature on domestic cat behaviour, very few empirical studies have been published on their communicative and cognitive skills. We hope that with the creation of CatFACS, future studies of cat communication, including systematic studies on facial expressions during the cat-human interaction, will be facilitated, thus providing a valuable insight into the evolution and function of feline behaviour. "The eyes of cats are an ocean of mysteries"